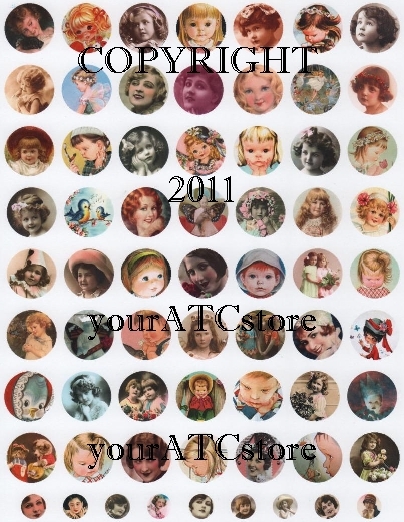 yourATCstore Christmas Santa Circle Pix 1" x 1" Inchies Collage Sheet. 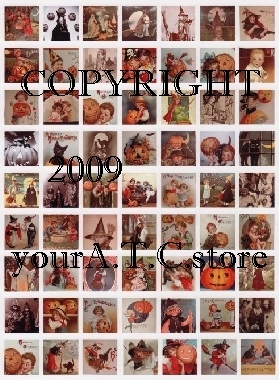 Great images for all your Christmas ATCs, jewelry and altered art. 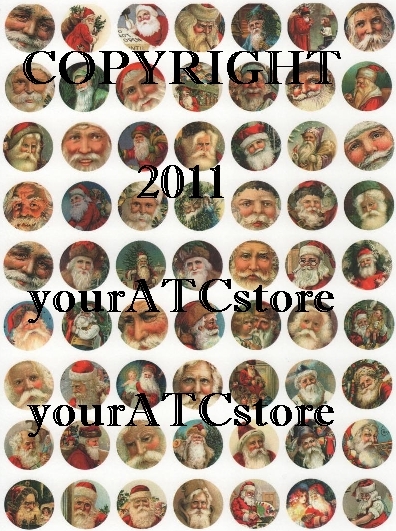 There are 63 different 1 inch circular Christmas Santa images; no two images are alike! 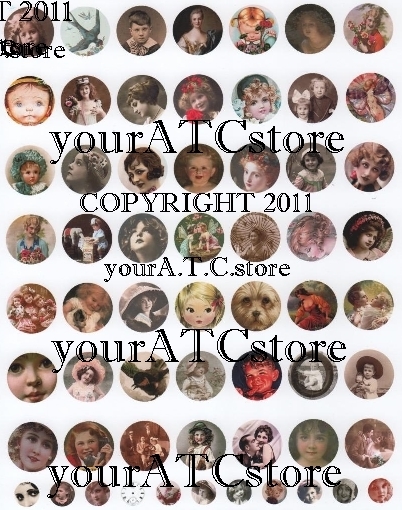 These pictures are perfect for the watch crystals, bottle caps, or can be used with any other craft project. 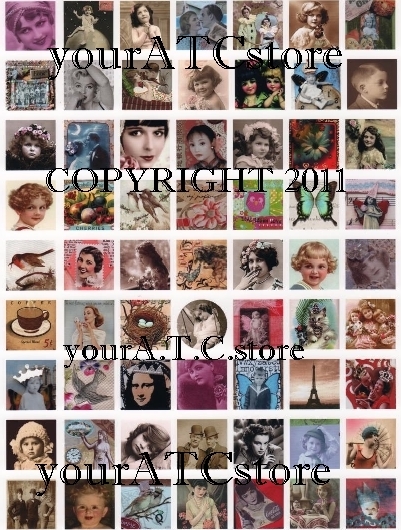 The collage sheet is archival quality and professionally printed and comes in a crystal clear bag for protection. Collage sheet measures 11" x 8 1/2".